An urban market (minus the vowels). By now, you’re probably harboring some bitter sentiments towards USC’s on-campus eateries. 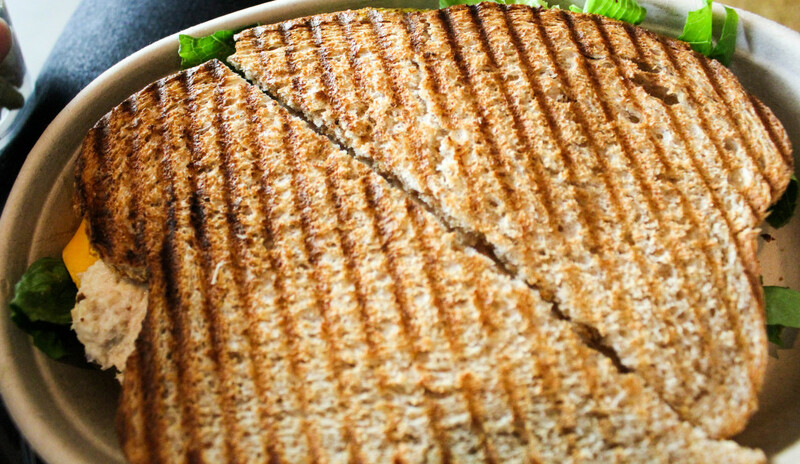 Your wallet isn’t too ecstatic with the idea of spending $10 on a sandwich at Lemonade and your stomach, mind and heart are doing everything they possibly can to steer you away from EVK’s mystery meat (which may not even qualify as meat). You may be on the verge of giving up on USC food, but have no fear. URBNMRKT will restore your faith in and put the pizzaz back into school food. 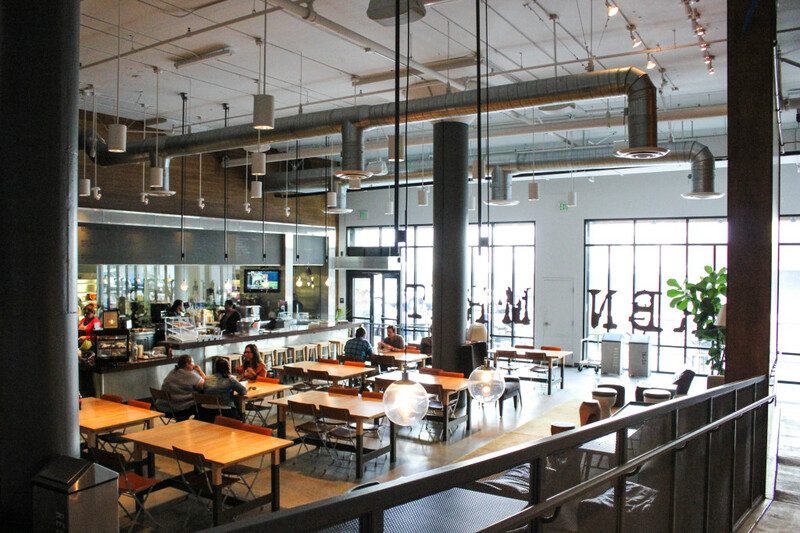 URBNMRKT is USC Hospitality’s newest eatery and is easily located about two blocks from the Galen Center. You’re probably puzzled and wondering why you haven’t heard of this place before (you’re very impressed by the clever name though). URBNMRKT is a hidden gem, tucked away into the corners of Jefferson and Grand. 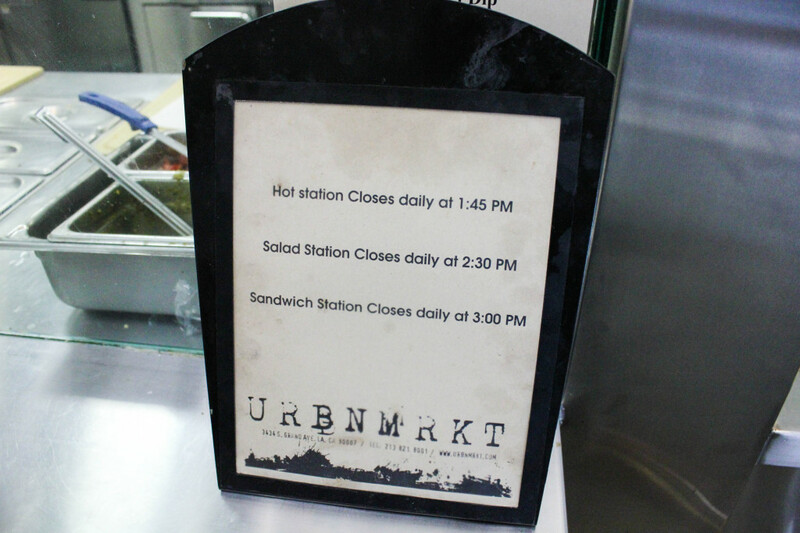 As one of the healthiest, cheapest and most hipster-friendly venues under USC Hospitality, URBNMRKT specializes as a convenient grab-n-go haven for those who have busy schedules. They offer a myriad of homemade, appetizing, delectable and nutritious items, ranging from fresh sandwiches, soups that hit the spot, hearty salads, hot meals, sweet pastries, made-to-order coffees, and revitalizing teas. Bonus: everything is reasonably priced, so your wallet will thank you. 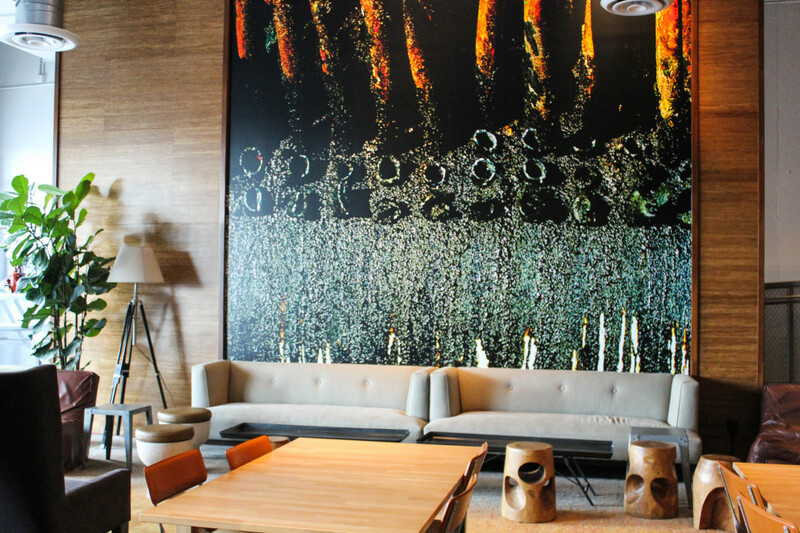 The decor radiates a hipster feel with beautiful lighting, spacious tables and an edgy backdrop. Whoever was in charge of URBNMRKT’s interior design flawlessly decorated the accents to not only create a warm, comfortable setting for eating lunch, but also for studying or catching up on a good novel. After I paced back and forth, scrutinized the menu for a good five minutes and scratched my head for the millionth time, my indecisiveness gave up and I found myself mouthing the English language’s three most harmonious words to the cashier. White. Chocolate. Latte. 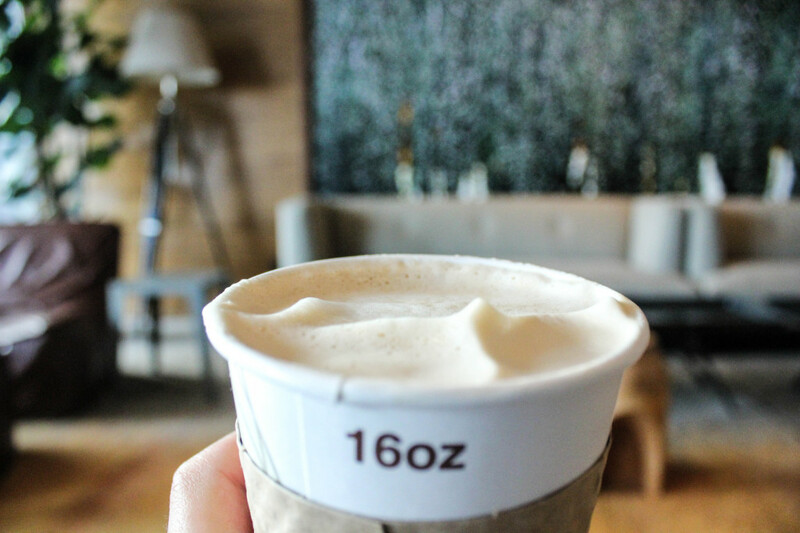 This drink has an impeccable amount of white chocolate foam, and the richness of the espresso, steamed milk and temperature was delivered to absolute perfection. If you find yourself happily embracing the colder weather (wind is actually a thing in Los Angeles now – who knew?) or need to play some serious catching up on homework, do yourself a favor and treat yourself to this irresistibly delightful pick-me-up. You won’t be disappointed. 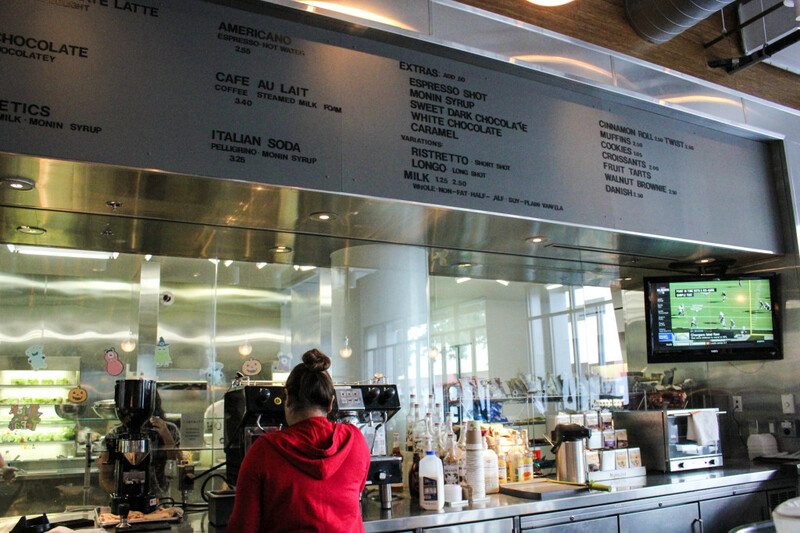 URBNMRKT offers a great selection of sandwiches and the cheerful employee makes your sandwich right in front of you. Gotta love their freshness and quality! You can customize your order and cater it to your own tastebuds, which is fantastic for those who want everything and those who only want a couple of add-ons. As an intense seafood fanatic, I was a little bit too excited to try the tuna sandwich. My sandwich was sculpted with fresh tuna, crispy whole wheat bread, lettuce, and gooey, melted cheese. Every single bite seemed to taste better and better and every ingredient was healthy, savory and put together with a TUN-A-love. I have now found my favorite spot for a classic tuna salad sandwich. As if URBNMRKT understands the struggles of college students, a customized sandwich, a side of macaroni salad, potato salad, or colesaw and a fountain drink totals to only $5.99 and you know what that means… happy wallet and happy you. Hot meal selections include a fountain drink and cost only $6.99. BONUS: if you hand your USC ID card to the cashier, you are exempt from paying the tax. It’s your lucky day. 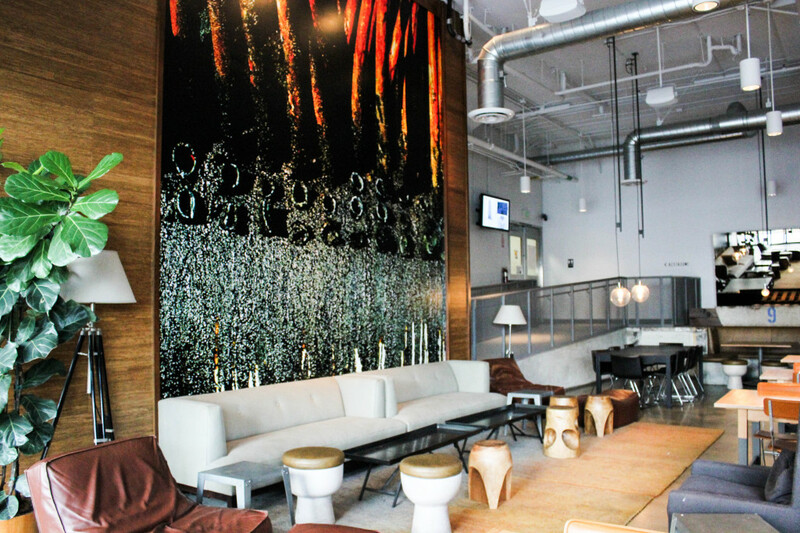 The next time you find yourself digging through USC Hospitality for some healthy options to keep you sane, head on over to URBNMRKT for a truly unique dining experience. The generous portions, justifiable prices and friendly customer service are enough to make this venue golden. The warm, inviting and urban decor not only bolsters a comfortable environment to enjoy a meal, but also reminds you to enjoy the little things in life.